The registration fee for the Certified Information Systems Auditor (CISA) exam is included with this program. CISAs are recognized internationally as professionals with the knowledge, skills, experience and credibility to leverage standards, manage vulnerabilities, ensure compliance, offer solutions, institute controls and deliver value to the enterprise. CISA job practice analysis has been completed by ISACA. This analysis resulted in a new CISA job practice which reflects the vital and evolving responsibilities of IT auditors. The new CISA job practice was effective beginning with the CISA exam administration in June 2011. This online CISA training program will prepare you for the certification exam. The registration fee for the Certified Information Systems Auditor (CISA) exam is included with this program. Chrys Thorsen is an experienced IT instructor with over 30 years of experience in IT. Chrys has over 35 certifications including Cisco CCNP/CCSI, Microsoft MCITP/MCSE/MCT, CISSP and CISA. Chrys is the founder and owner of IT without Borders, a company specializing in high-end IT consulting. Over the past 10 years, Chrys has focused on IT certification instruction, quickly becoming a recognized industry leader in a variety of certifications. Chrys specializes in IT auditing and security and is considered a thought leader in both areas. Upon successful completion of the program, you will be awarded a certificate of completion. 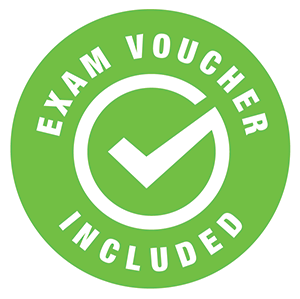 In addition, you will receive an exam voucher for the Certified Information Systems Auditor (CISA) after successful completion of the program and financial obligation. This program will prepare you for the Certified Information Systems Auditor (CISA) exam and you will receive an exam voucher after successful completion of the program and financial obligation. For CISA certification requirements please click here.